We used Korean Rice Cake, so we tossed it in the stir-fry. But you could also serve over rice or noodles. If using rice cake medallions ~ 1.5 cups boiled for 3 minutes and set aside. 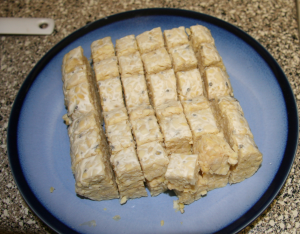 Cut your Tempeh into small cubes. 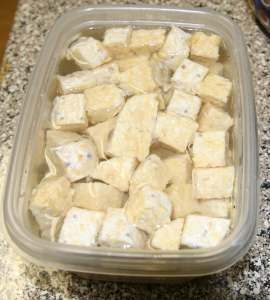 Place Tempeh in the salt water bath and set aside to soak for 10 minutes. This will bring out the subtle nutty/sweet flavors of the Tempeh. 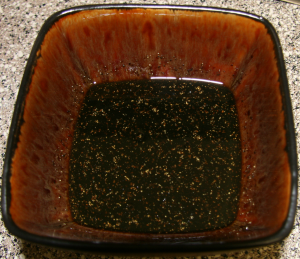 In a small bowl, combine tamari, broth, mirin, sugar, sesame oil and pepper. in a separate container dissolve the cornstarch in 1/8 cup water. Heat a small pan over high heat, add the cooking oil. Add the garlic and ginger and fry until fragrant (about 15 seconds). Add the soy sauce mixture and bring to a boil. Reduce heat to medium and cook for 1 minute. Add the cornstarch mixture and cook, stirring constantly until the sauce thickens to the consistency of maple syrup. Set aside. Drain the Tempeh, then fry until golden brown in a large skillet, and set aside on a plate. 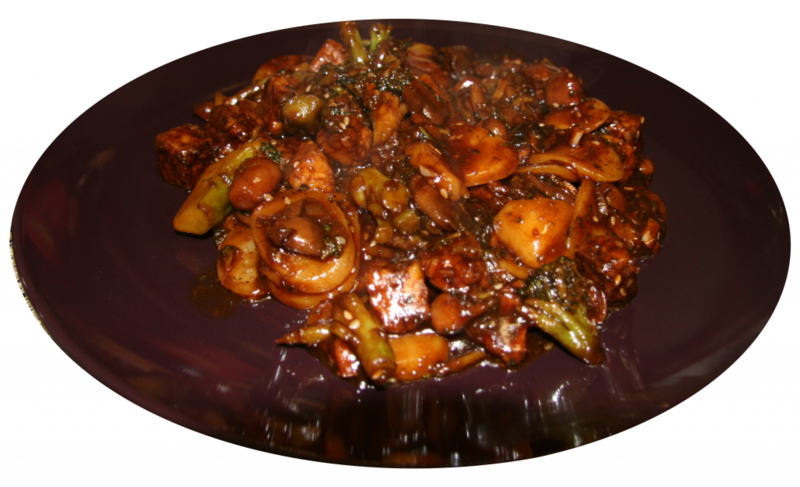 In the same large skillet saute your broccoli and mushrooms until both are tender, add the Tempeh along with 1/3 of your sauce (and rice cake if you are using). When the sauce has been mostly absorbed and the vegetables and Tempeh look sticky, add another 1/3, repeat until you have used all the sauce. Serve with rice, rice cake or noodles.